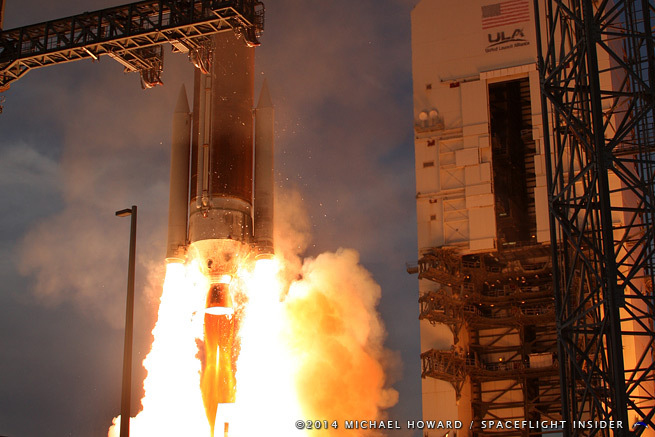 The Delta IV series is a family of medium- and heavy-lift launch vehicles developed by McDonnell-Douglas (Later part of Boeing, now United Launch Alliance). 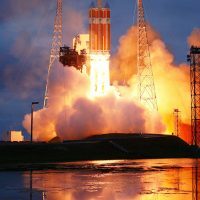 The rockets were designed and have almost exclusively been used to support civil and military payloads for the U.S. government. 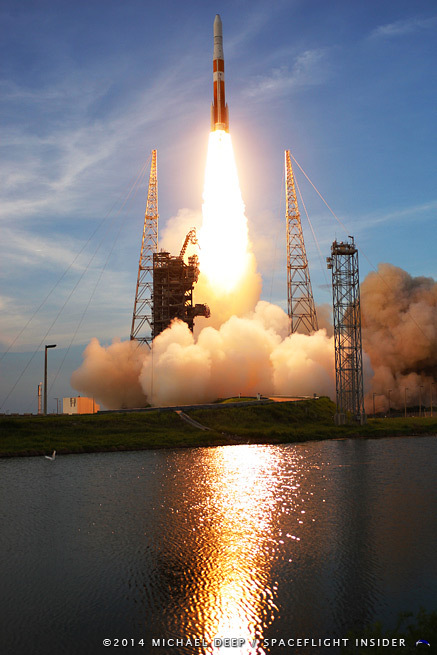 Like the Atlas V, the Delta IV was designed and built to meet the needs of the U.S. Air Force’s Evolved Expendable Launch Vehicle (EELV) program. 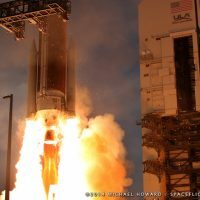 It built upon McDonnell-Douglas and Boeing’s experience with the Thor intercontinental ballistic missile, Delta, Delta II, and Delta III launch vehicles. 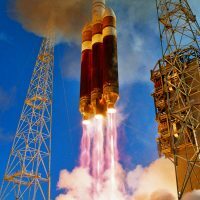 Its first flight was in 2002, and, as of December 2016, Delta IV has flown successfully 33 times. 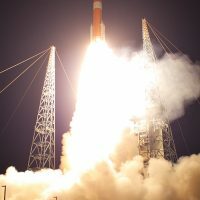 The Delta IV series launches from either Space Launch Complex (SLC)-37B at Cape Canaveral Air Force Station, Florida, or from SLC-6 at Vandenberg Air Force Base in California. Because of the differing configurations of the vehicle family, launches use slightly different sequences. 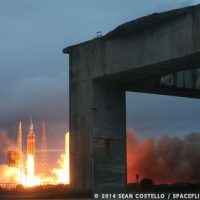 The Delta IV Medium version of the rocket lifts off on its single Common Booster Core (CBC), which provides primary thrust from liftoff to staging as well as vector control for the pitch/roll maneuver. 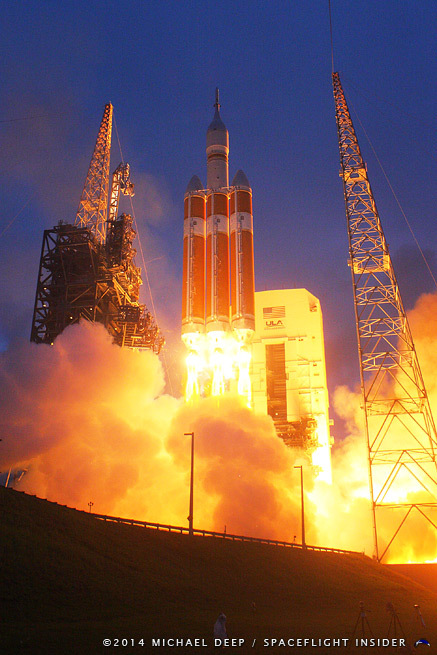 The CBC is powered by a single Aerojet Rocketdyne RS-68A liquid hydrogen / liquid oxygen engine. 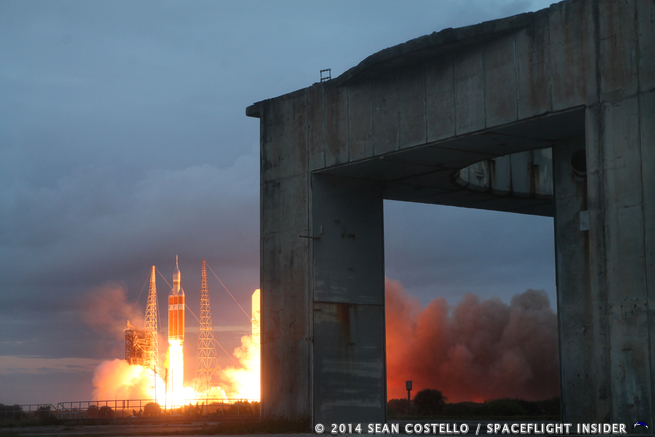 Prior to ignition, free hydrogen escapes from the CBC that creates a massive plume of flame just prior to liftoff. In past launches, this has scorched but not damaged the exterior of the rocket. 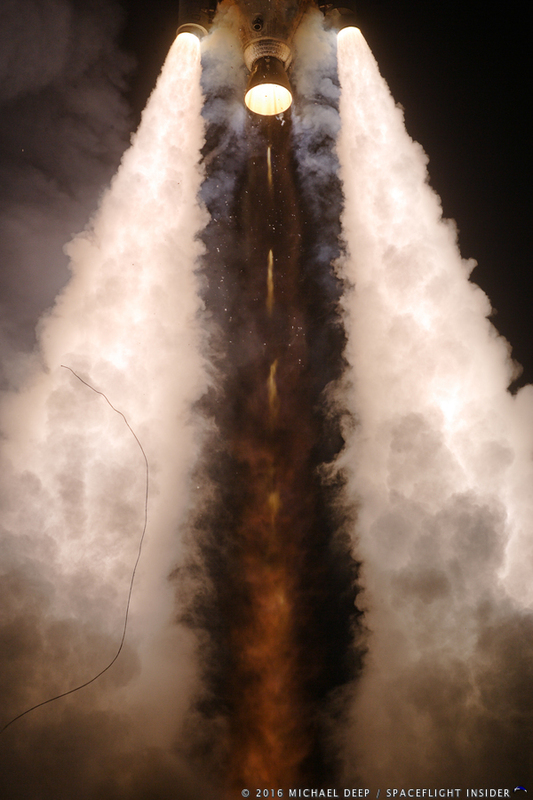 After liftoff, the Medium’s single CBC burns for approximately 28 seconds before separation and staging. 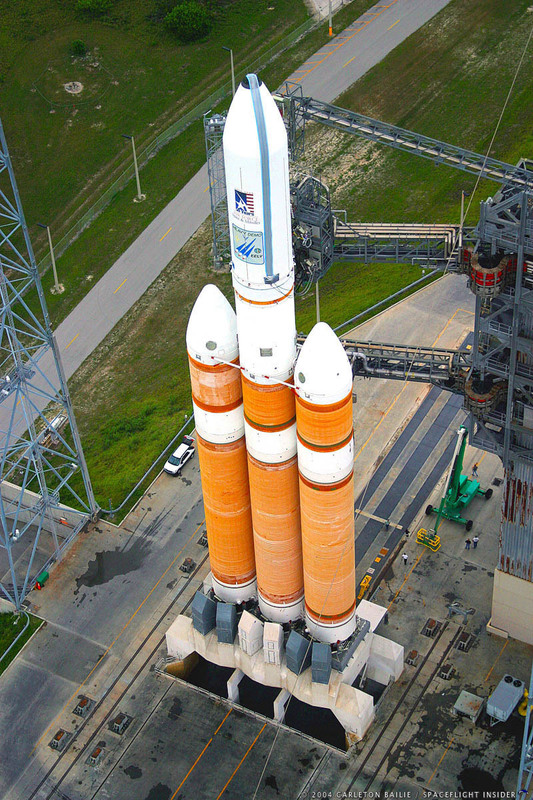 The Medium version of the launch vehicle flies only with the 13.1-foot (4-meter) Delta Cryogenic Second Stage (DCSS) and fairing. 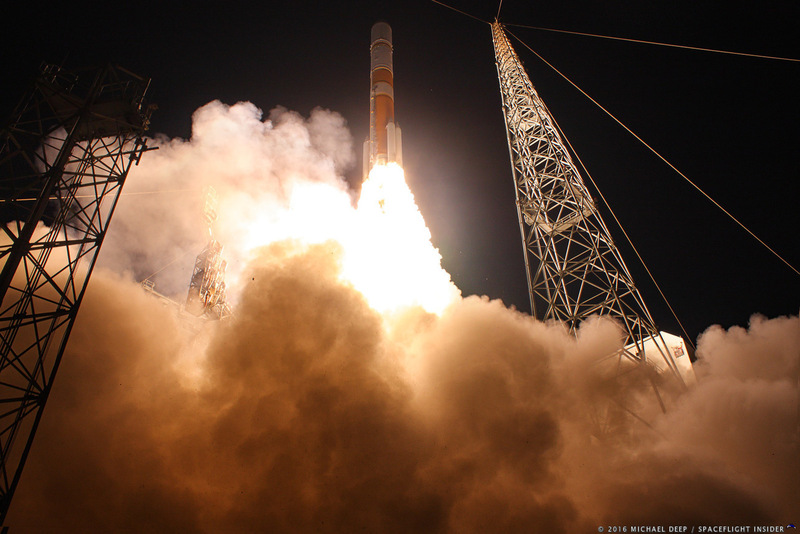 All of the Delta IV Second Stages rely upon a single Aerojet Rocketdyne RL10B-2 engine for propulsion. 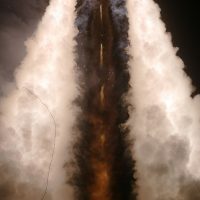 Upon ignition of the DCSS, the payload fairing jettisons, and the engine burns until the payload reaches its intended orbit. 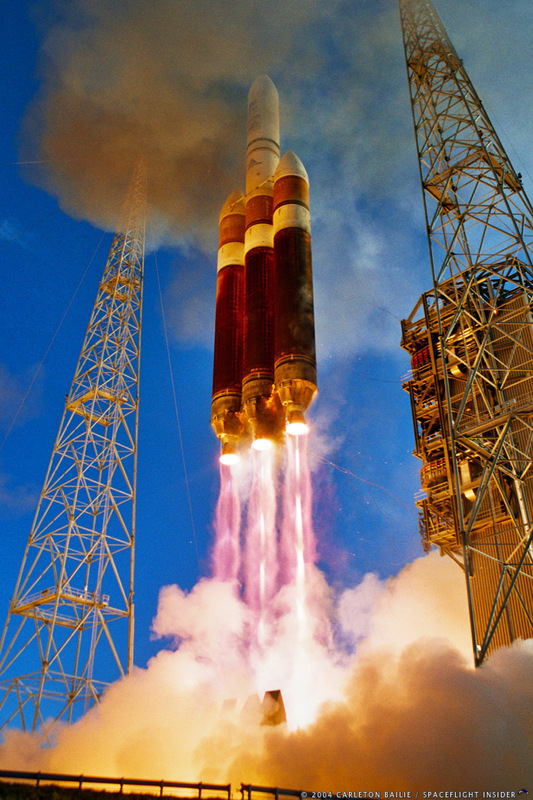 In addition to flying the CBC, the Delta IV Medium+ variants also incorporate two or four Orbital ATK GEM-60 solid rocket motors (SRMs), which burn up to 90.8 seconds after T-minus 0. 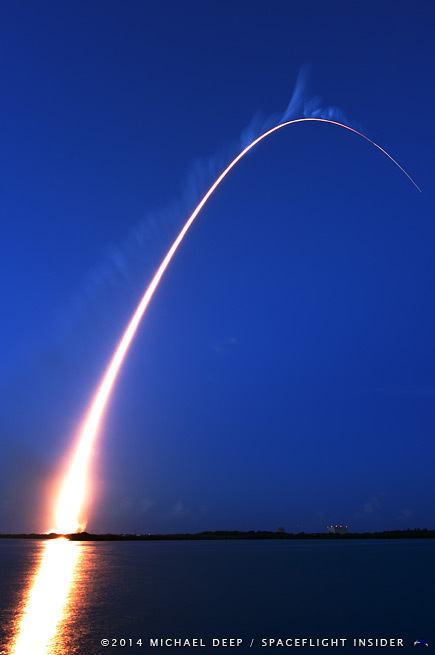 Thrust vector control and pitch/roll maneuvers are controlled by the rocket’s RS-68A main engine. Like the Delta IV Medium, the core stage continues to propel the second stage and payload until main engine cutoff at T+246 seconds. 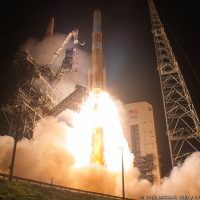 The Delta IV Medium and Medium+ (4,2)’s Second Stage propellant capacity is approximately 45,000 lbs (20,410 kg) compared with the 60,000 lbs (27,200 kg) capacity of the Delta IV M+ (5,2) and M+ (5,4) variants, which carry a 16.4-foot (5-meter) diameter Second Stage, providing an additional 275 seconds of burn time (1,125 vs. 850 seconds). 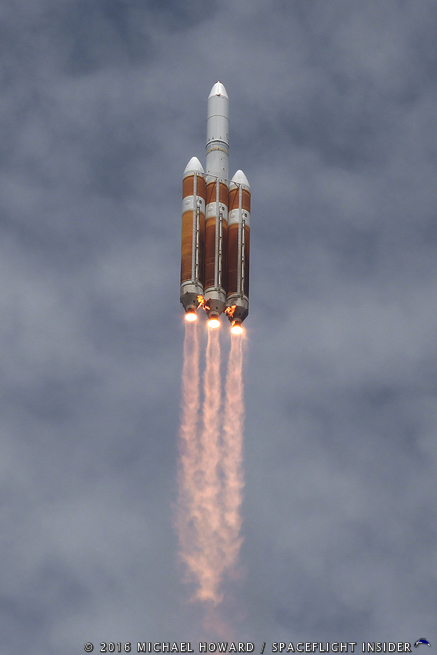 The Delta IV Heavy is similar to the Medium+ (5,2) but uses two additional CBCs instead of SRBs for propulsion. It has a slightly different launch profile, with the port and starboard CBCs operating as boosters, which stay attached to the core for much longer into the mission before they are jettisoned. 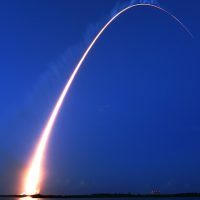 As a further measure to save propellant, the core stage engine runs at partial power until the port and starboard boosters, running at full power, are jettisoned at T+245 seconds. Once the port and starboard boosters have fallen away, the core stage continues to fire for another 83 seconds before MECO and first stage jettison. 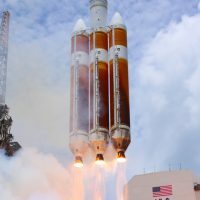 The Delta IV Heavy uses a 16.4-foot (5-meter) Second Stage, giving second-stage operations a potential total burn time of up to 1,125 seconds. 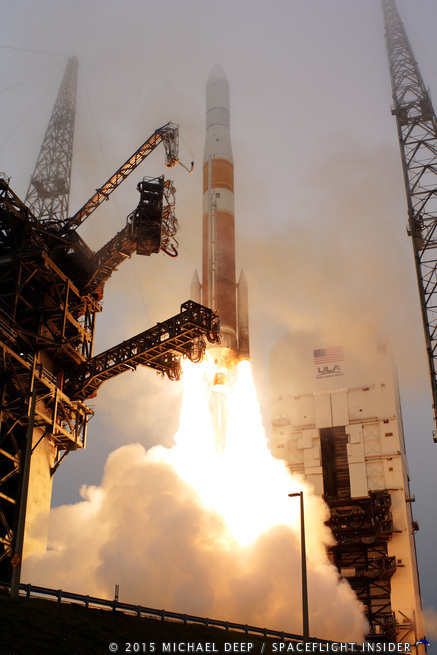 The Delta IV family has provided launch services almost exclusively for the U.S. government. These flights have been carried out largely on behalf of the Department of Defense or National Reconnaissance Office. 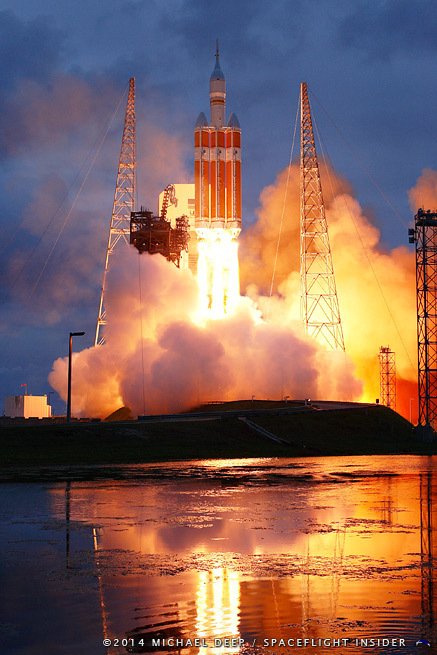 To date, the only non-defense mission flown on a Delta IV Heavy rocket was NASA’s Exploration Flight Test One (EFT-1) mission with the Orion multipurpose crew vehicle. 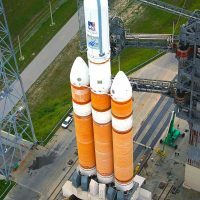 Another Delta IV Heavy is also planned to launch NASA’s Solar Probe Plus mission in 2018. 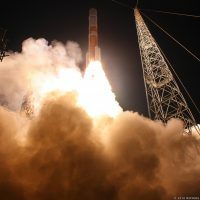 During the launch of the GPS Block IIF-3 satellite on Oct. 4, 2012, a problem occurred with the upper stage’s Aerojet Rocketdyne RL10B-2 engine. 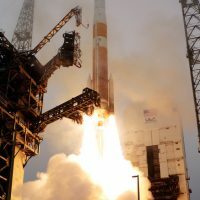 This resulted in lower-than-anticipated thrust, but the Delta IV M+ (4,2) rocket had sufficient fuel margins for the satellite to reach its planned orbit. 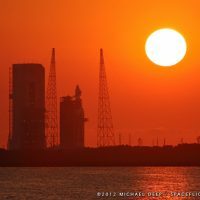 Given that Atlas V rockets use similar engines in their upper stages, this anomaly caused delays in both the Delta IV and Atlas V programs. A fuel leak was eventually determined to have caused the problem, and flights resumed by May 2013. 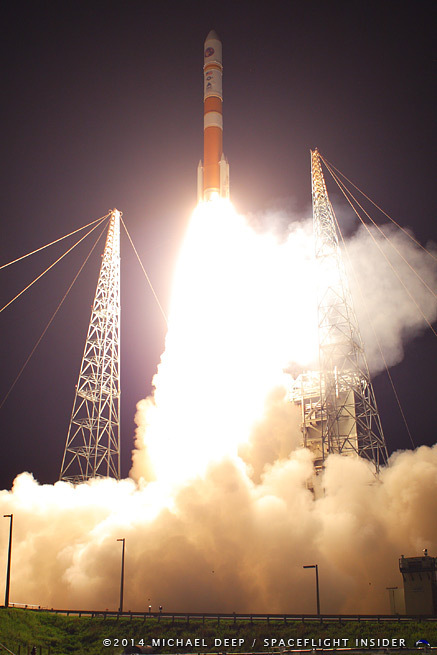 However, after two successful flights, the launch of the GPS IIF-5 satellite was delayed pending renewed study of the problem. 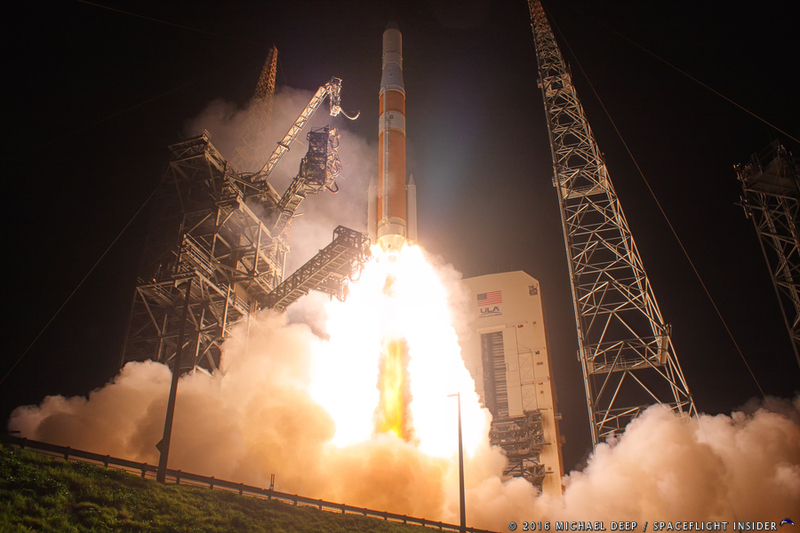 Eventually, the Delta IV returned to service on February 21, 2014, and the GPS IIF-5 satellite was deployed. 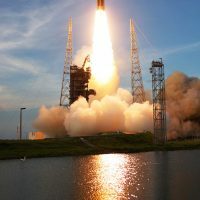 United Launch Alliance President Tory Bruno announced in March 2015 that the company would be retiring the Delta IV Medium configurations in 2018–2019, while the Delta IV Heavy will remain in service beyond that timeframe. 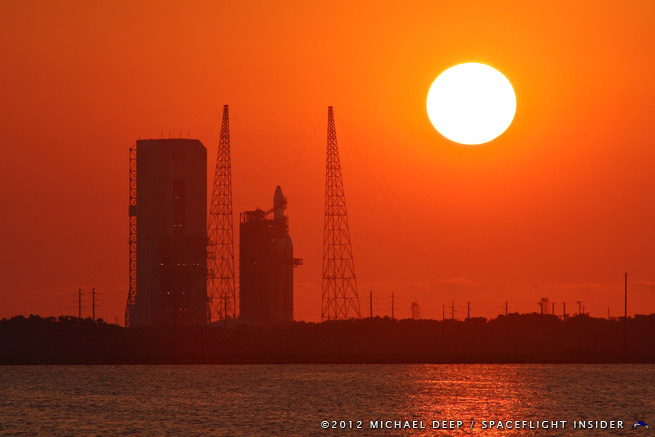 However, the company is working to replace the capabilities of the Delta IV in an entirely new launch vehicle: Vulcan. 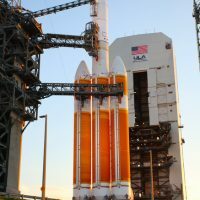 The Delta IV’s modular system relies on a 16.7-foot (5.1-meter) diameter, 133.9-foot (40.8-meter) long CBC that launches in a single or three-core configuration. 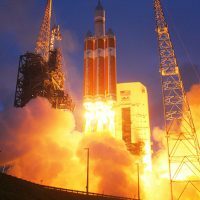 Its 13.1-foot (4-meter) diameter or 16.4-foot (5-meter) diameter Second Stage provides upper-stage and orbital propulsion. 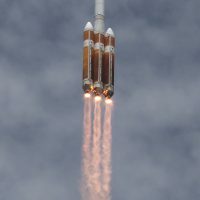 When launched in the single-core “medium” configuration, Delta IV sports a four- or five-meter payload fairing and zero, two, or four solid rocket boosters (SRBs). 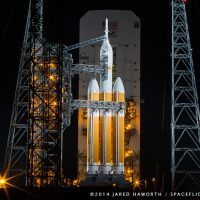 Configurations are labeled Medium (four-meter fairing, no SRBs) Medium+ (4,2) (four-meter fairing, two SRBs), Medium+ (5,2) (five-meter fairing, two SRBs), or Medium+ (5,4) (five-meter fairing, four SRBs). 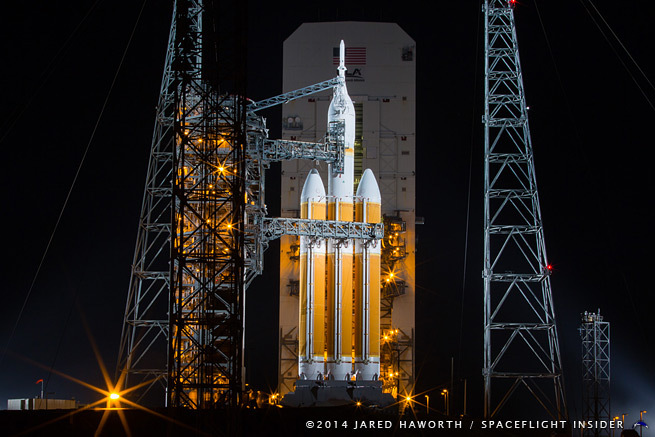 The Delta IV Heavy consists of three CBCs and no SRBs. 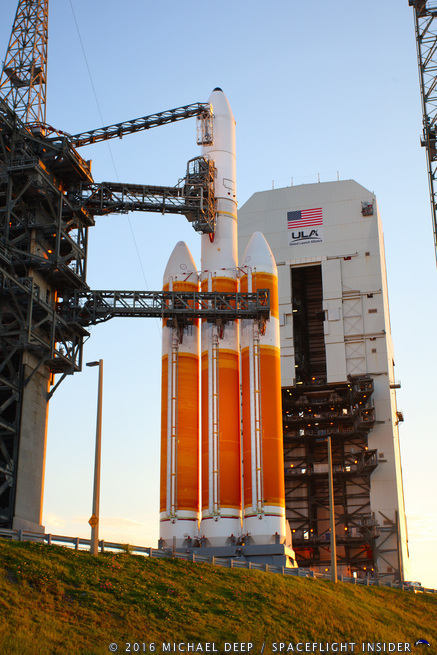 All of the Delta IV vehicles are taller than Atlas V, though their payload capacities to low-Earth Orbit (LEO) and Geostationary Transfer Orbit (GTO) overlap. 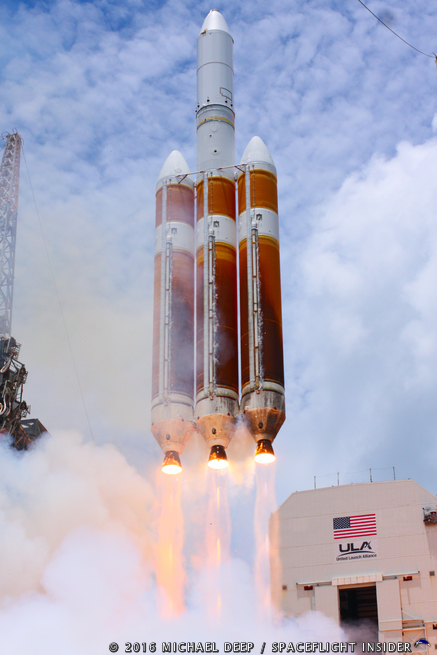 The Delta IV Heavy is, as of January 7, 2017, the world’s most powerful operational launch vehicle by payload mass.